2) Jonathan Larson’s less well-known musical can be better known.Much like Hedwig and the Angry Inch (before the Neil Patrick Harris-fueled Broadway mounting), tick, tick… BOOM! is a rich rock musical that, despite its beloved underground status, has not made its Broadway debut. Granted, it’s understandable why tick, tick… BOOM! has been in the shadows for so long. Why spend more millions producing a smaller, quirkier show when Rent is a constant seat-filler on 41st street? But now that Rent has been closed (and its Off Broadway “modernization” mostly forgotten), audiences can appreciate tick, tick… BOOM! with a mind not clouded by angsty artists with poor financial planning. I was so cool, you guys. 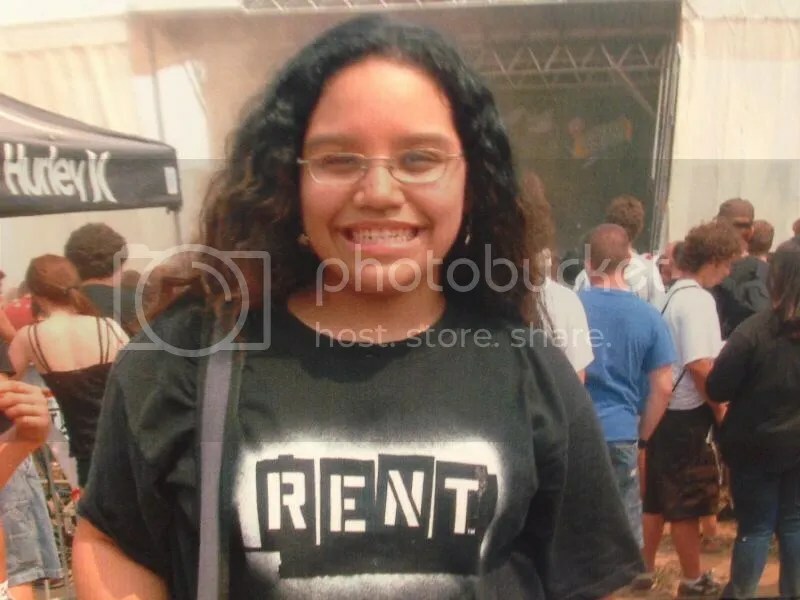 Despite my fond memories of memorizing Daphne Rubin-Vega’s original “Out Tonight” choreography, grown-up me has become frustrated with Rent‘s black-and-white rendering of what it means to be an artist in New York City, where sell-out is the dirtiest of words. The struggle of an artist is more nuanced in tick, tick… BOOM!, which follows Jon (Our Lord and Savior Lin-Manuel Miranda), a composer who is edging closer to his thirtieth birthday without much to show for it. He still works as a server in a diner, while his girlfriend Susan (Wepa Vanessa! Karen Olivo) is thinking about settling down somewhere that’s not New York–and having a more fulfilling dance career while she’s at it. Meanwhile, the specter of what could be is present in Michael (new Broadway crush Leslie Odom, Jr.), Jon’s friend who traded in his acting grind for Gucci belts and world-traveling with a high-paying (and potentially soul-sucking) marketing position. What makes tick, tick… BOOM! so refreshing is that there are no easy answers. Michael isn’t a figure to be totally derided, and Jon admires Michael’s success (resulting in the amazingly hilarious number “No More”). That admiration is mutual, as Michael sees Jon’s musical workshop–and encourages him to keep on writing when the show doesn’t get picked up. Even though Jon is conflicted about his place in the world, he doesn’t villainize Michael for abandoning acting for financial security. Jon and Michael’s friendship in tick, tick… BOOM! makes Rent‘s central Benny-as-landlord dilemma look downright juvenile. 4) This production did not feature a single white actor, and nobody died. When I first heard the news about tick, tick… BOOM! I received it with “color-blind” excitement. Lin-Manuel! Karen Olivo! Actors I really enjoy! I didn’t learn until later that tick, tick… BOOM! was a three-person show, and that the third person in the cast, Leslie Odom, Jr. was also a person of color. I wondered about the implications of that. Diversity, especially regarding representation in the arts, has become a dirty word. 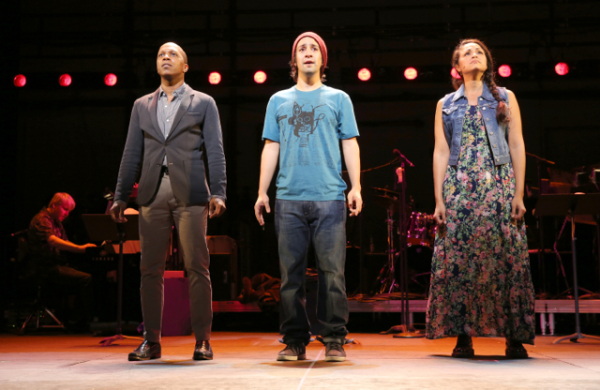 Even though Jonathan Larson clearly wrote RENT with a diverse characters, tick, tick… BOOM! has one of those character breakdowns where no ethnicity is listed so casting directors usually go for white leads and a black best friend. One can also argue that since tick, tick… BOOM! is autobiographical, you may want an actor who physically resembles Jonathan Larson. But Encores! took an inventive approach to this production, and it works. Not just for “diversity’s sake,” but because the cast are all highly-qualified to take on the job. (An argument that is usually used for when white actors are given roles meant for people of color.) 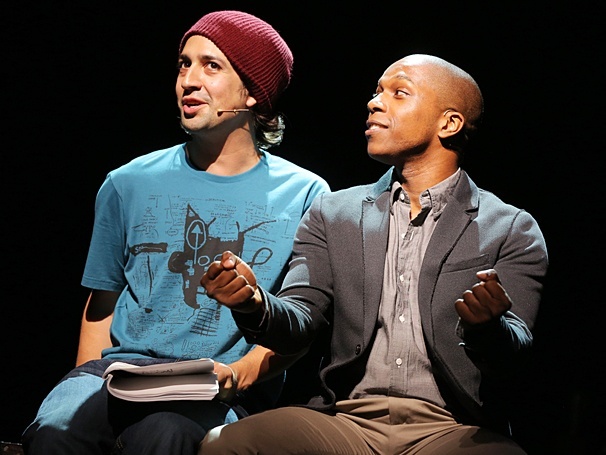 Leslie Odom, Jr.’s extensive acting career includes Broadway musicals (including Rent) and a role on the TV-musical-hit-that-could-have-been Smash. Karen Olivo not only has the rock/pop musical artistic experience (In the Heights, Rent, Brooklyn, Murder Ballad), she also has the personal experience to take on the role of Susan. Like Susan, Olivo has wrestled with the choice to leave New York City and bring her passion for art to a new place: after leaving New York City last year, she’s begun a new career of writing and teaching in Wisconsin. And let’s not forget the teeny-tiny qualifications of Lin-Manuel Miranda. He’s not just an insanely talented actor who wowed us in In the Heights–he also kinda wrote the music and lyrics to the show, which has given him half of his inevitable EGOT. He’s also brought his life experience to the stage before, playing lyricist Charley Kringas in Encores! : Merrily We Roll Along. Not only is Miranda crazy qualified to take on the role, he brings a much-needed sense of humor to the role of Jon, a character who would otherwise be insufferable with his late quarter-life crisis. The result of this ~nontraditional casting? On opening night, it was a packed house and a standing ovation. One performance doesn’t equal a Broadway run, but it might just speak louder than words. Can we start a movement to FINALLY get this show up on broadway? Now is the time and this is the cast y’all.